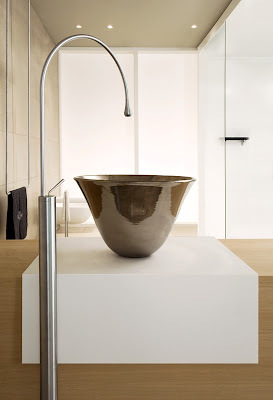 From deep in the heart of Italy's Piedmont Region, comes the Goccia series from Gessi. 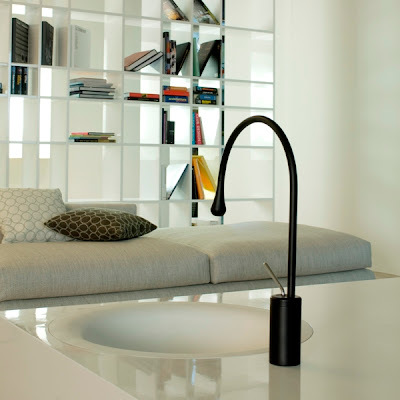 Goccia means "droplet" in Italian and designer Prospero Rasulo found a new shape and in doing so, he found a way to bring faucets out of the kitchen and bathroom and into the rest of the house. See what I mean? It reminds me of Achille Castiglioni's Arco lamp from 1962 but the similarities stop pretty quickly after that first flash of recognition. I tell clients all the time to pick bar and prep sinks with intention but this exceeds even my definition of intention. As dramatic as the large size of this faucet it, I can see integrating one of its smaller cousins into the end of a dining table or a buffet. 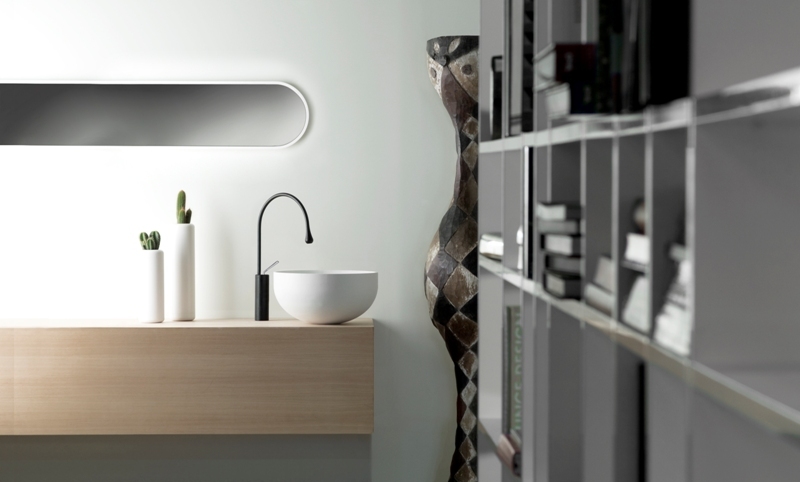 And of course, Goccia comes in sizes, shapes and configurations that work well in bathrooms as well. I'm really taken with this shape. 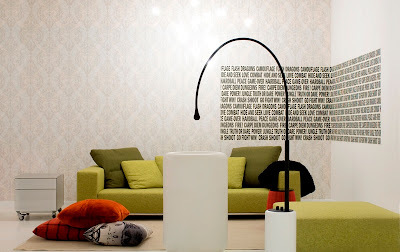 Goccia is a wide-ranging suite of fixtures, it extends far beyond what I'm showing here. And Goccia is but one of the hundreds of products offered by Gessi. Spend some time on their website and you'll see what I mean. There will be more to come from this company, believe me. In the meantime though, what do you guys think of having a sink and faucet in the dining or living room? is it an idea whose time has come? I think it opens up whole new worlds. Bar sinks are always such an afterthought and the get used so infrequently in most cases. I love the idea of integrating a sink into a dining table though. these remind me of the JANSJÖ ikea lights in shape (though i'm sure it was ikea that copied). I love those JANSJÖ from Ikea too, the shape and compact light just looks cool to me. However, because the flexible part is so cheap it's difficult to keep them looking smooth and unkinked. 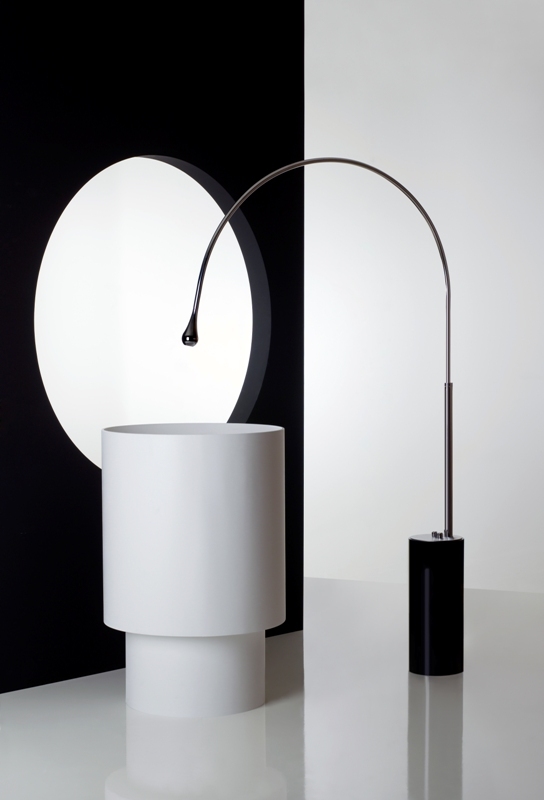 Ikea ought to sell a pipe bender alongside those lamps. Could have used yours and Gessi's vote of confidence a number of years ago when I was helping my (single) daughter settle in her first home. It was a new 2-storey Townhouse with a Dining Room 9' alcove just deep enough for a series of bathroom vanity lower base units. As she was on a budget and neither one of us being a professional designer, we purchased unfinished stock cabinets and topped them off with a heatproof surface of Silestone. At that time I suggested to her and the countertop supplier; integration of a small sink which they both disagreed with. OOOps, these are gorgeous faucets!